Yoga Philosophy - Why it matters and Why it doesn't always? How to find the Balance? If we peel back the many layers that have been created around the word ‘Yoga’, we will find so much more than just physical postures. The definition of yoga and what it means to live a yogic life runs intrinsically deeper than moving our bodies in specifically designed yoga pants, adorning our limbs in vibrant patterns. But why should we pay attention to yoga philosophy, and why does it matter in our lives and our practice? Yoga Philosophy – Why it matters? What are we trying to achieve in yoga? What is a yogic lifestyle? 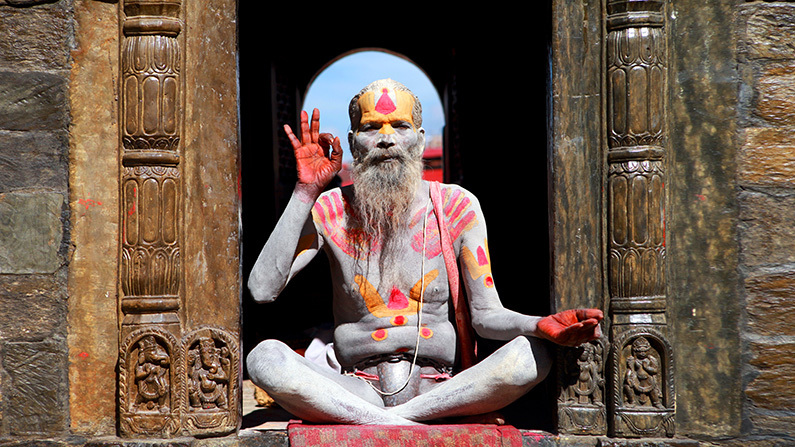 How important is it to acknowledge the ancient wisdom intertwined into the yogic lifestyle? The philosophy of yoga gives us a blueprint to follow, which leads us to a happy, healthy and peaceful life. Happiness that transforms into deep and long-lasting contentment. Health that keeps our bodies and minds vital and vibrant. Peace that not only manifests within ourselves but also with the world around us. With the philosophy of yoga, we end up creating a physical, mental and emotional harmony. There are many different yoga traditions, and each person will choose their own journey which is right for them. But in yoga, we are all wanting to achieve the same goal; and that is to be a better person. We practice physical poses, breathing techniques and meditation to become a better human being that can impact the world with our positive light. We want to react more calmly to stressful situations, such as getting frustrated in a rush hour traffic or difficult situations at work. But finding a way or a thought that defuses the stress equals to a more mindful reaction. In bad traffic, we may acknowledge that getting more and more angry will not bring us to the destination any faster. In a stressful work situation, we may try to communicate effectively and positively, to find a solution rather than to argue and create more problems. Another way to practice this is to always remind yourself: ‘Is there anything I can do to make the world a better place?’. If we look towards what a yogic lifestyle might be, we will discover that it is to live in such a way that you carry inner peace and compassion for all, wherever you go, at all times. By calming your mind and quietening the loud voice of the ego, we gain inner clarity. It is about creating a deep awareness of how you live and how you interact and react to the world. Practicing yoga is to practice creating this awareness within, as well as with physical postures on the outside. Remaining open, kind, honest even to those that have caused you pain – are all qualities that anyone can decide to take up, if they want to dedicate themselves to a daily yoga practice. To understand the importance of the ancient wisdom that is intertwined into a yogic lifestyle, we can look to such ideas and philosophical texts such as Patanjali’s Yoga Sutras. 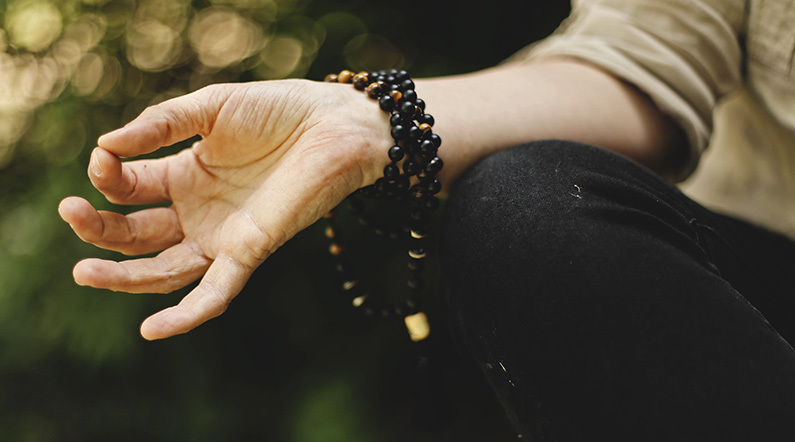 Yoga Sutras has been seen as guidelines to help us connect to the Divine. Learning and studying these texts over time will then propel us to become better human beings to the rest of humankind. 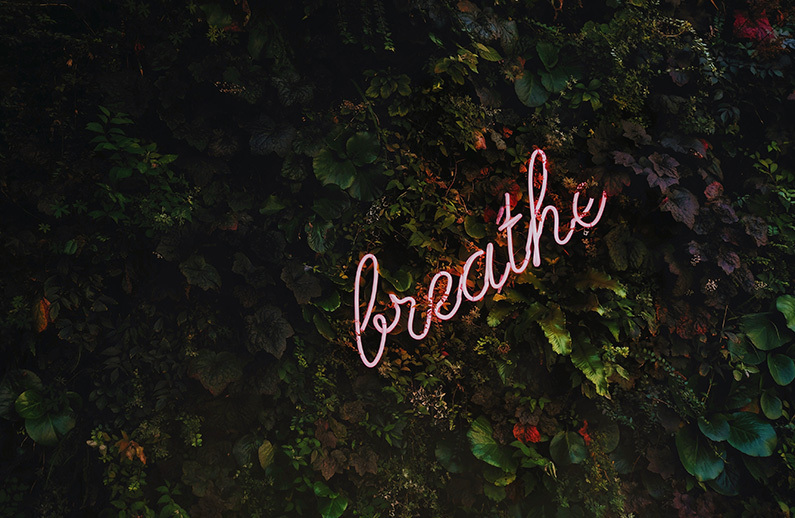 In the Yoga Sutras, Patanjali sets out sutras (meaning ‘threads’ in Sanskrit, think of these as ‘thought-threads’) that discuss the physical postures, ethics, meditation, and how to deal with issues that arise in day-to-day life. This text is over 4,000 years old and contains wisdom that we can put into practice even in our busy, modern world. We can use some of these philosophical concepts provided by Patanjali, such as “aparigraha” (non-attachment) and “satya” (truthfulness), to develop more mindful connections in our relationships, careers, life goals, etc. Another important ancient text is the Bhagavad Gita, which gives us anecdotes and examples within the story of the warrior Arjuna’s life, as he decides to take up the yogic path and how he learns to fight for what is right. If you decide to join a Yoga Teacher Training, a part of the course will cover yoga philosophy and how to apply it. Not only will there be a discovery of something far more significant than an early morning yoga practice, but also how to apply these very teachings to your classes and your students. By weaving little aspects of philosophy into your classes, you can help your students accept who they are, their bodies, weaknesses and strengths, and to let go of any self-doubt that they may have. In classes, Yoga philosophy can be taught by giving examples of “ahimsa” (doing no harms) such as encouraging students not to get lost in negative internal thoughts or push themselves past their physical limits in yoga poses. Another class-example is dedicating a yoga session to translate difficult Sanskrit words into easy-to-understand language. 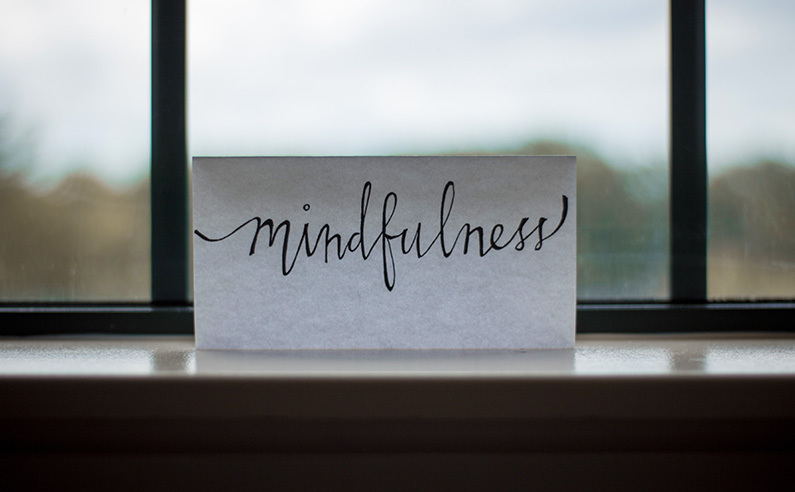 Including philosophy in classes matters, as it reminds the students that yoga is much more than just the postures alone, and it aids them in connecting to themselves, as well as to something so much greater beyond just ourselves. As yoga is a ‘work-in’ rather than just a physical ‘work-out’, we can always look to improve ourselves. Without this guidance to debate and consider, are we not just moving the body and hoping for a miracle, when it comes to changing our psyche and behaviours? Yoga Philosophy – Why it doesn’t always matter? Yoga philosophy is essential in a student’s practice, but there can be times when the practitioner can muddy the water without careful consideration. Sometimes we can hold onto these concepts and use them as a barrier or a defence mechanism as a way to prop up our own beliefs. What if we were only to use the ideas that fit in with what we agree with? We may end up twisting the meaning so that it loses its originality in the first place. Why Yoga Philosophy doesn’t always matter? For example, we could push the idea of “ahimsa” (non-violence) onto others if we try to influence what they eat, by applying unfair pressure on them not to eat meat. This way, we are not practicing ahimsa, as our words and our emotions can be seen as another way of being ‘violent’ to the person we are criticizing. Another example could be that if you held judgment on someone who owns a lot of material possessions. This may seem to you as though the other person isn’t trying to follow “aparigraha” (non-attachment). But by judging, we are not letting them find their own way along the path of yoga. It takes time to alter your lifestyle, and sometimes the changes happen slowly. Moreover, we can be mindful that when we focus on others’ mistakes, we might not be able to observe our own actions. Remember to be understanding towards to others whilst they work out which path they are taking in yoga and life. As I mentioned undertaking a Yoga Teacher Training earlier, some students may find the yoga philosophy to be an eye-opener when it comes to new ideas. But the trick is to remain open, even to concepts that you may not feel currently in alignment with. We do not need to tick every box on the yogic path immediately; it’s a lifelong practice that’ll change and develop as we grow and move on. We are all human beings; we do get things wrong as we try to achieve everything all at once while following the spiritual path. It is easy to end up overanalysing ourselves or spending countless hours critiquing how we currently live our lives. The opportunity to relentlessly beat ourselves up can rise to the surface if we are too judgemental. Sometimes, the best thing to do is to get on the mat, breathe deeply, and move. We can take that compassion that manifests in our practice out into the world, without considering if we are abiding by every example that has been laid out for us. Use these timeless teachings to refer to, again and again, as we aim to pursue these ancient pearls of wisdom in all that we do, even in our modern age. But allow yourself the opportunity to be human and remember that you won’t get everything right all at once. Yoga is a discipline, a way of life, and a way back to the very essence of who we truly are.